It's an awesome Looney Tunes Toon Tumbler! Complete with your favorite Looney Tunes character and some of his famous quotes. 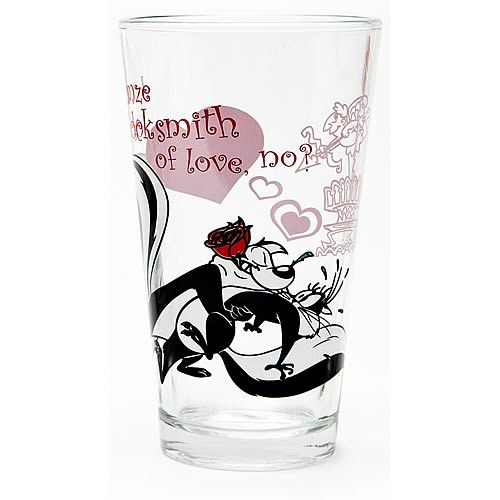 Don't try to pretend like you don't want this whimsical and wonderfully-detailed Looney Tunes Pepe Le Pew Toon Tumbler Pint Glass! It's got Pepe on the front with his quote, "I am ze Locksmith of Love, no?" You know you want it. Hand wash only. Not dishwasher safe. Do not microwave. For ages 14 and up.